ROCK SOLID!!! Literally the property is solid brick construction and is a solid investment with a tenant that’s been in one of the units over 8 years. Rarely goes vacant but when it does, it re-rents instantly. 2-bedroom, 1-bathroom unit with separate laundry/storage room this is a perfect rental. Each unit has its own section of the backyard and is fully fenced. North unit has a new kitchen and paint while the plumbing and electrical has been updated in both units. Call to get your appointment today! 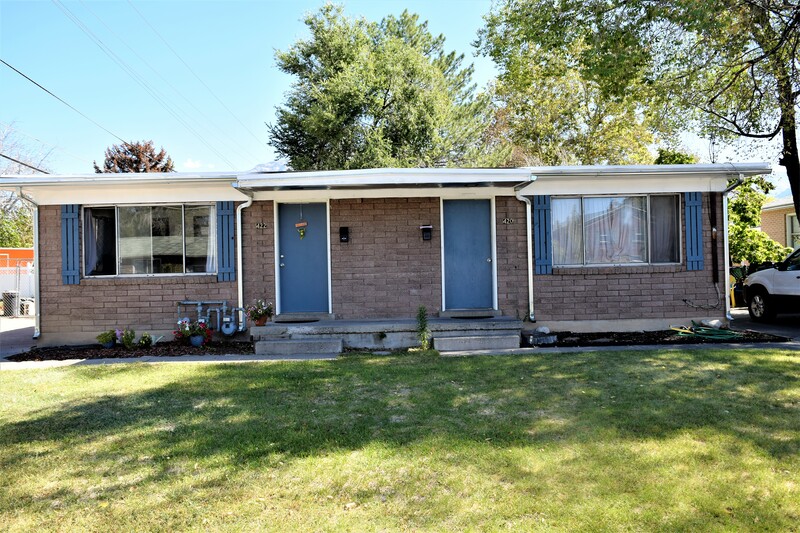 Contact Kyle Kelley at (801)-722-5953 for showings and information! We're sorry, but we couldn't find MLS # 1555685 in our database. This property may be a new listing or possibly taken off the market. Please check back again.